The public is often impressed by scenes shown on TV where surgeons in China operate patients apparently with no other anaesthesia than acupuncture. 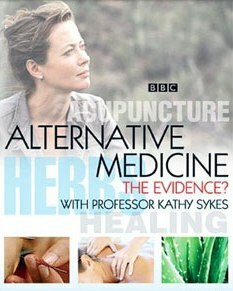 Such films have undoubtedly contributed significantly to the common belief that acupuncture cannot possibly be a placebo (every single time I give a public talk about acupuncture, the issue comes up, and someone asks me: how can you doubt the efficacy of acupuncture when, in China, they use it for major operations?). Some years ago, I have myself been involved is such a BBC broadcast and had to learn the hard way that such scenes are more than just a bit misleading. Unfortunately, the experts rarely object to any of this. They seem to have become used to the false claims and overt propaganda that is rife in the promotion of acupuncture, and have resigned to the might of poor journalism. The laudable exception is a team of French authors of a recent and excellent paper. This unusual article analysed a clip from the program “Acupuncture, osteopathy, hypnosis: do complementary medicines have superpowers?” about acupuncture as an anaesthetic for surgical procedures in China. Their aim was to propose a rational explanation for the phenomena observed and to describe the processes leading a public service broadcasting channel to offer this type of content at prime time and the potential consequences in terms of public health. For this purpose, they used critical thinking attitudes and skills, along with a bibliographical search of Medline, Google Scholar and Cochrane Library databases. Their results reveal that the information delivered in the television clip is ambiguous. It did not allow the viewer to form an informed opinion on the relevance of acupuncture as an anaesthetic for surgical procedures. It is reasonable to assume that the clip shows surgery performed with undisclosed epidural anaesthesia coupled with mild intravenous anaesthesia, sometimes performed in other countries. What needs to be highlighted, the authors of this critique state, is the overestimation of acupuncture added to the protocol. The media tend to exaggerate the risks and expected effects of the treatments they report on, which can lead patients to turn to unproven therapies. The authors concluded that broadcasting such a clip at prime time underlines the urgent need for the public and all health professionals to be trained in sorting and critically analysing health information. In my view, broadcasting such misleading films also underlines the urgent need for journalists to be conscious of their responsibility not to mislead the public and do more rigorous research before reporting on matters of health.